The ownCloud 7 release is near and we have been doing a series of articles on the features introduced in it. Today, our focus is on changes that benefit ownCloud administrators. A major theme for ownCloud is control over your data and the people using it. 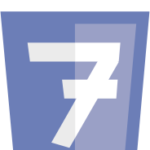 ownCloud 7 makes it easier for admins to control the storage and sharing by users on an ownCloud server. Admins can now specify which external storage types can be added by end users in their personal tab. And user quota can now be configured to include or exclude external storage. For example, an admin can decide to count the FTP external storage and the ownCloud primary storage as part of the 5GB user quota, or the admin can choose to only count the primary storage as part of the quota. 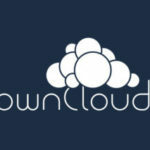 Making it easier to use Samba with ownCloud, this release makes it possible to connect to shares with the ownCloud credentials. Sharing can be turned on and off by group. 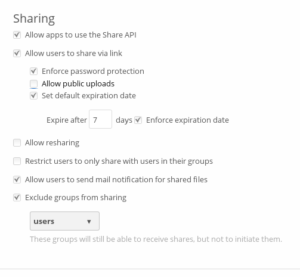 For example, if you have a group of friends on your local ownCloud, you can disable sharing for them, while still allowing your family members to share. 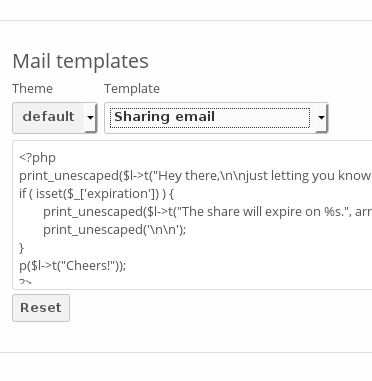 And the emails ownCloud sends when sharing files or links, as well as those for lost password recovery, can now be edited from the admin panel. 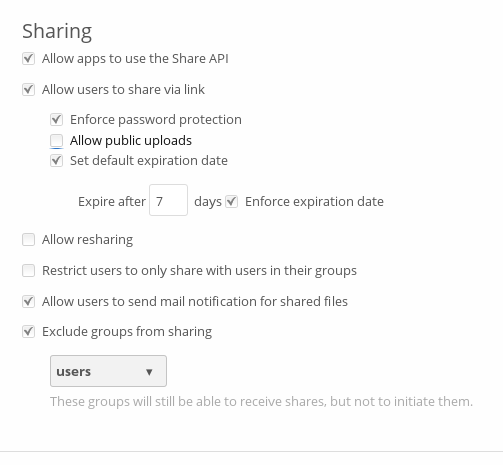 To improve security, admins can now control settings including expiration and sharing. Users can be required to set a password on shared links and a default and max expiration time can be set for the shares. Also important for security is the ability of the Anti-virus app to use external virus scanners (rather than the default CLAM AV) in scanning files as they arrive on the server. 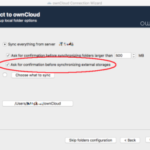 ownCloud 7 includes many enhancements, and several of those benefit large installations. Two of these are the AD/LDAP improvements and the new user management. Several changes have been made to the LDAP and Active Directory plug-in application, improving both the performance of the application as well as the compatibility with openLDAP, AD and other vendors. For example, the plug-in can now manage paginated responses to handle tens of thousands of users that are part of a single flat OU. The user management interface has been improved as well. Administrators can now view all ownCloud users in a single scrolling window, filter user lists by group, and search by user display name using the new text filter. User attributes have also been added, included the storage location for each user (where their files are stored) and the last time they logged in. New groups can be added with a click of a button. Adding users and editing user attributes, like group memberships, quota, and group admin rights is now faster and easier than ever. You should really link to these posts on your G+ account. The posts are great information (RELEASE IT ALREADY! ), keep it up! Im currently testing v7 and love the changes so far. Will the editing mail templates be part of the final installation or will it remain as a separate app to be installed?